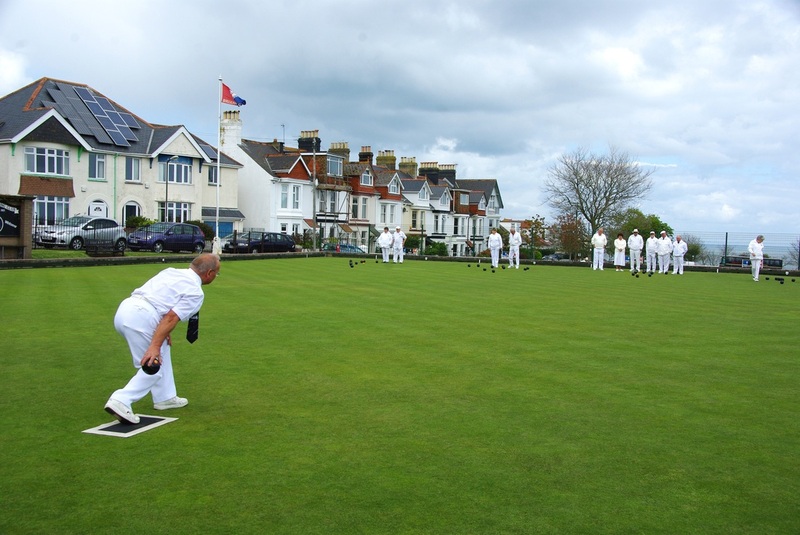 Brixham Bowling Club was formed by a handful of local fishermen and businessmen in 1913, with a 4 rink green and a clubhouse, constructed by the members in liaison with the District Council on Furzeham Green adjacent to Nelson Road, Brixham. 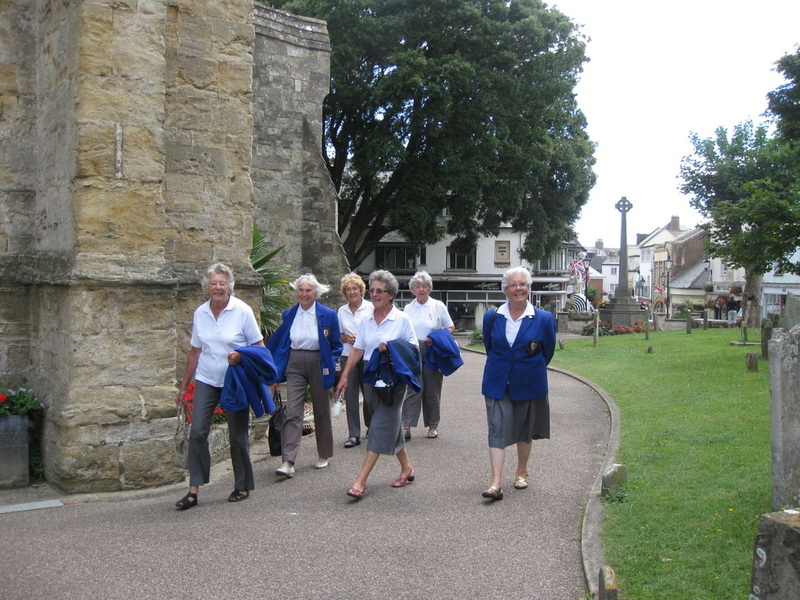 The green was opened on 3rd June 1913 and membership at the time was all men, but in 1952 the ladies formed their own section. As the club completed its first century, it could look back with pride at its achievements. 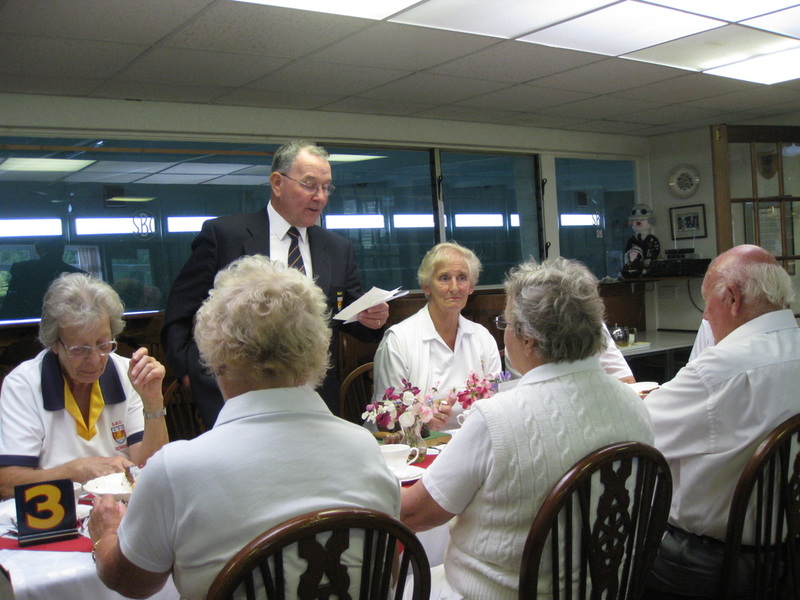 It has continuously increased and replenished its membership - in both the men's and ladies sections. The original clubhouse was replaced and later doubled in size. Later still a bar extension was added. 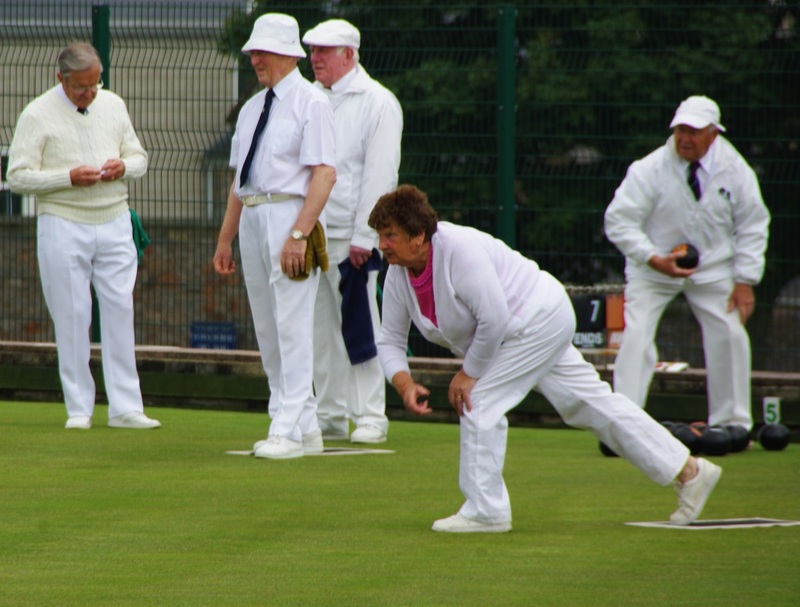 Members are responsible for the maintenance of the Green, which is regarded as one of the best in the area; through its competitive drive the Club has produced some excellent bowling members - some to County and National level. 2013 was an exciting year in which to join as a new member. Many special events were planned, and are listed below, together with some photos of some of the events. In addition to our league and friendly fixtures the following events were held. 3rd June 2013 Mixed Liskeard and Bere Alston. Away. 21st Sept 2013 Mixed Topsham . Away. 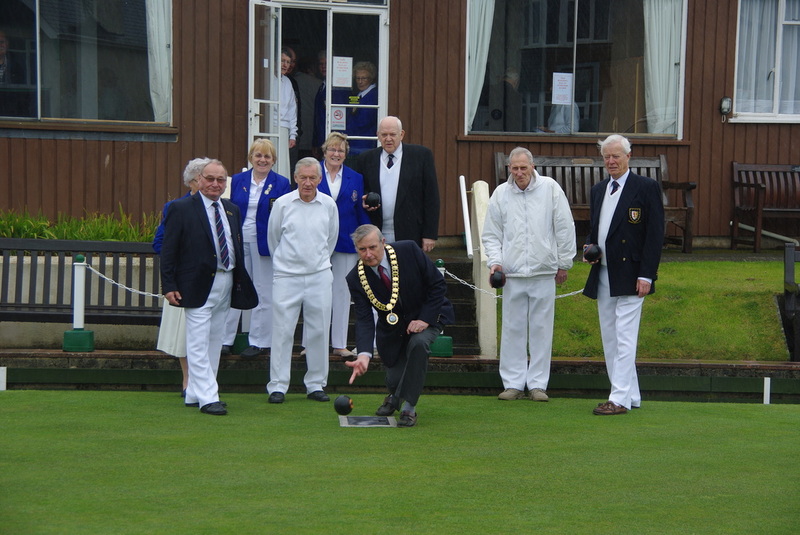 Brian Harland Chairman of Brixham Town Council bowls the 1st wood of the 2013 Centenary Year. 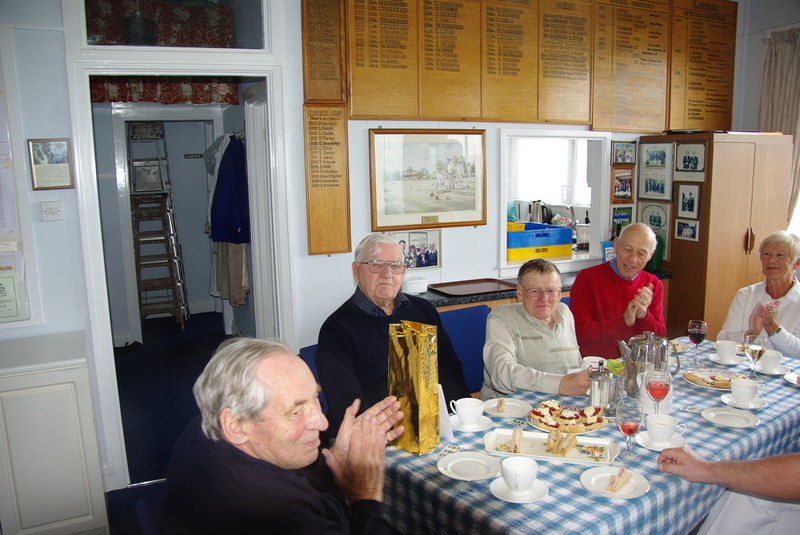 Dan Barrett celebrates his 90th birthday with a cream tea at the clubhouse on opening day of the Centenary year. 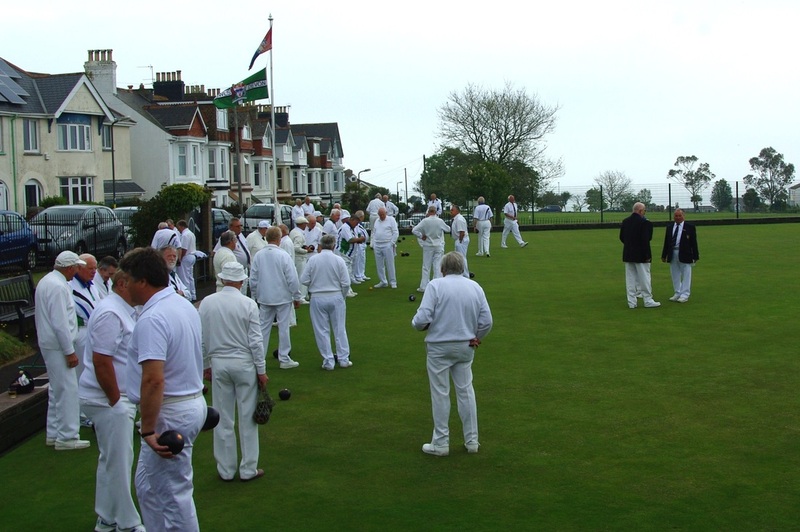 Brixham and Shaldon enjoyed a mixed 6 rink game. The weather was friendly and all enjoyed the game. 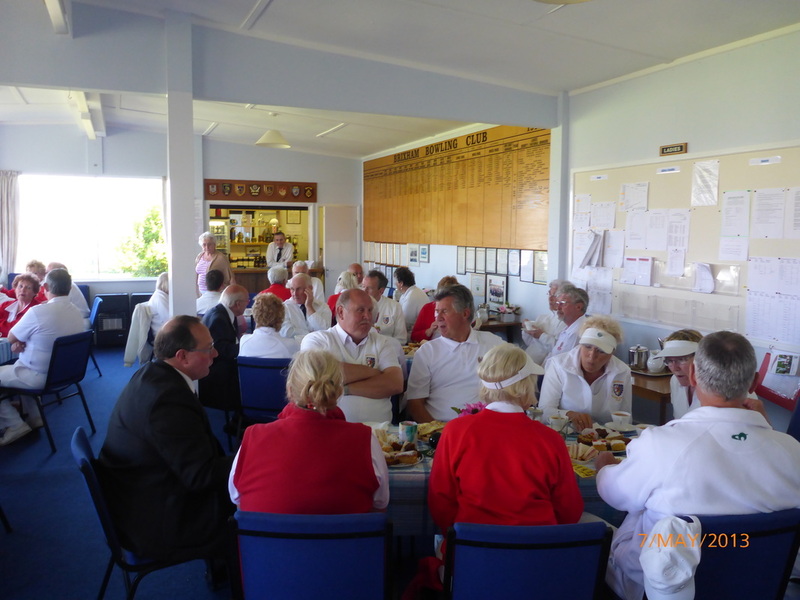 Sandwiches and cakes were enjoyed by all at the halfway interval and at the conclusion the two teams enjoyed a social drink together in the bar. 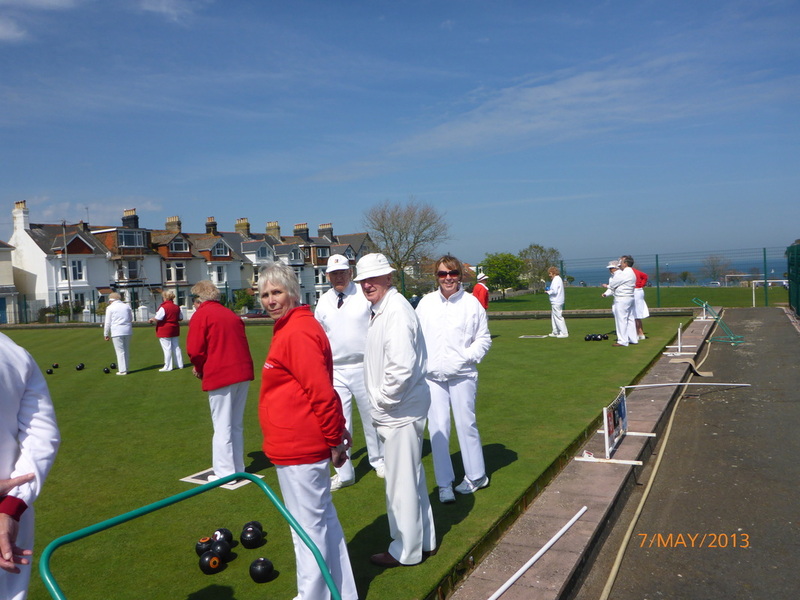 Shaldon won the game overall on a pleasant afternoon enjoyed by all. 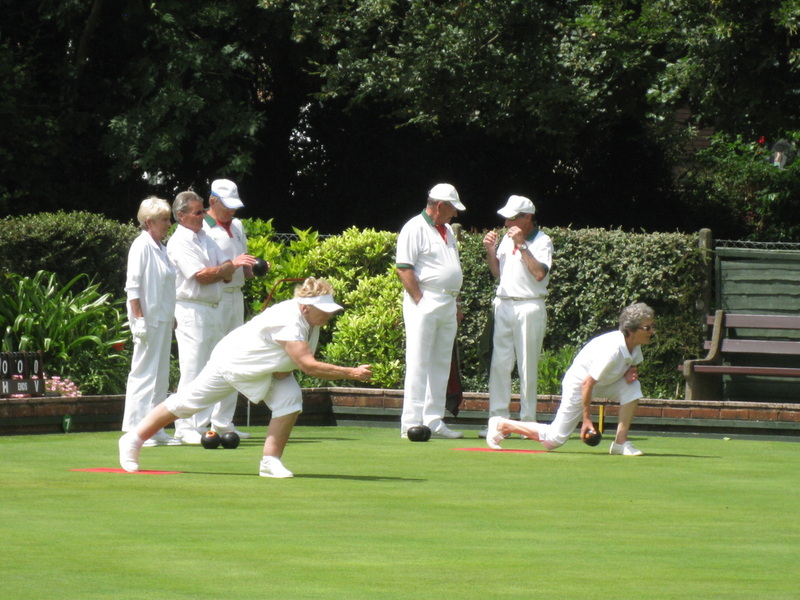 A very enjoyable afternoon for both teams , the weather stayed dry and some very good bowls. 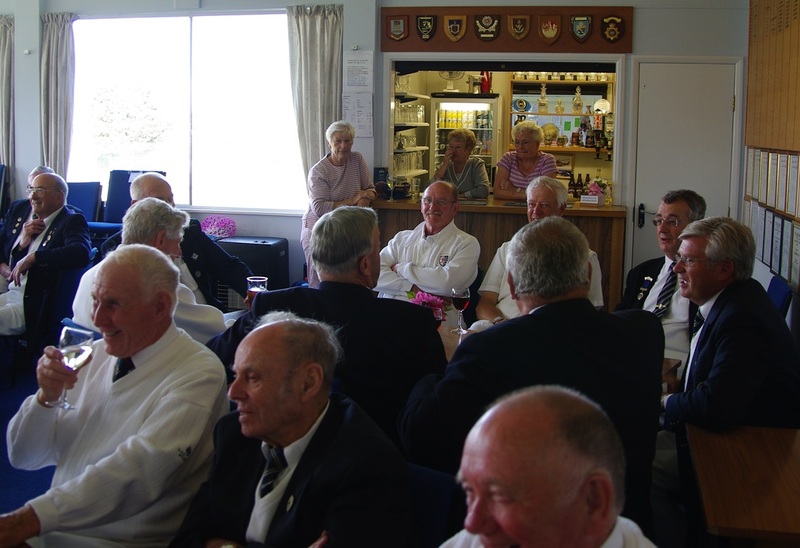 Brixham won by a small margin and both teams enjoyed a social drink at the end of the game. 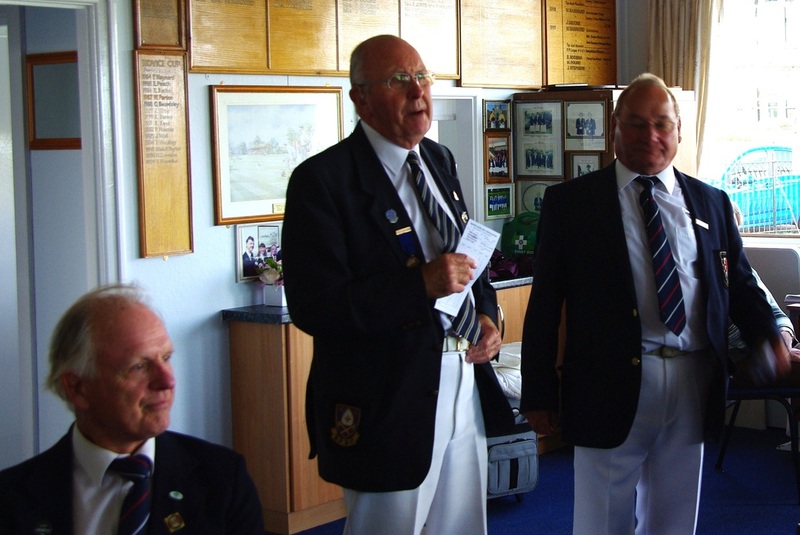 A great day was had by all and Brixham beat Brixham St Mary's by a small margin. A good afternoon had by all Brixham won 122 -102 shots. 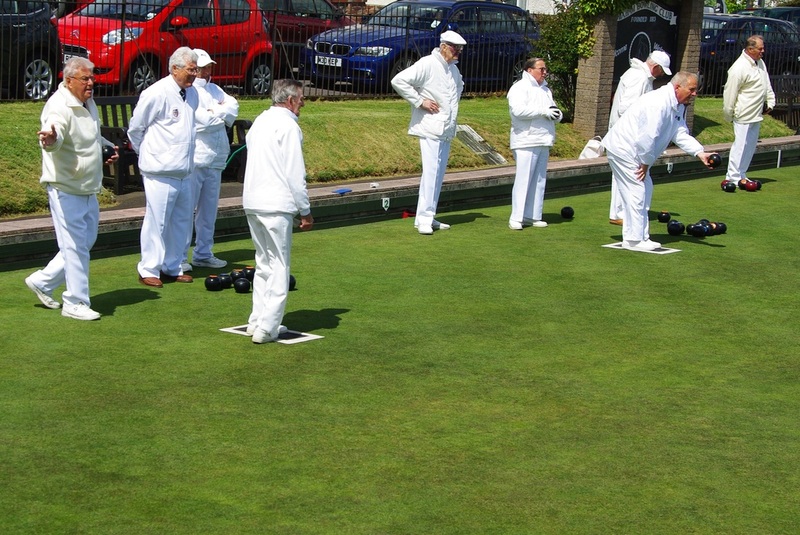 Brixham v Monmouth Trundalers. 5th June 2013. 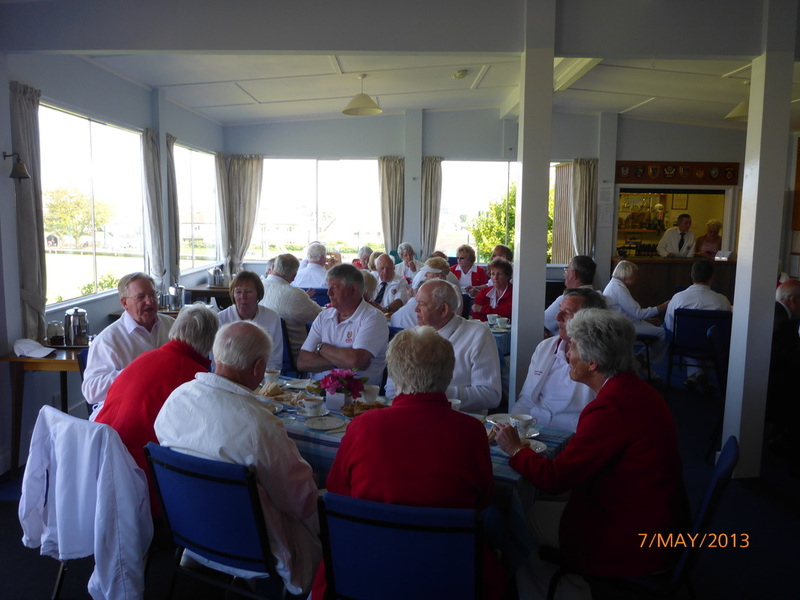 After a great afternoon on the green which the Trundalers won 96 - 126 , they enjoyed drinks in the bar with the Brixham members and then finished of a great afternoon with some outstanding Welsh singing. 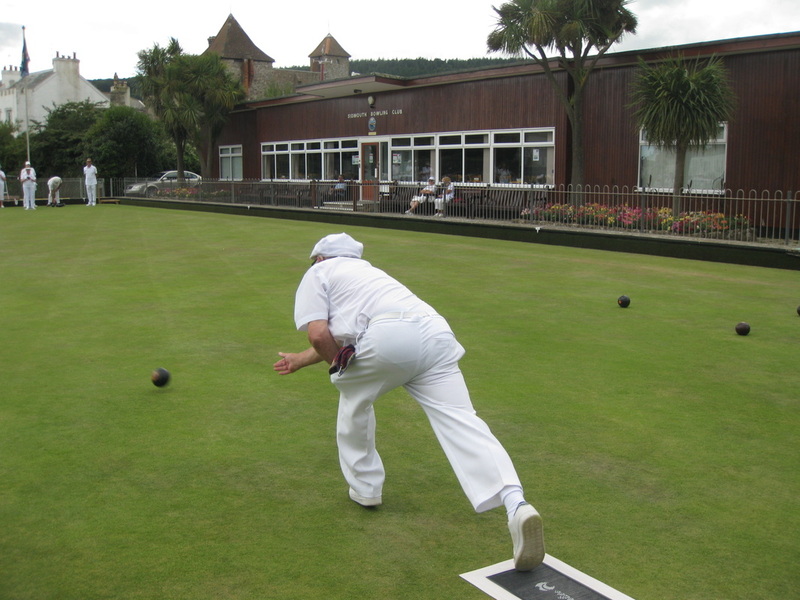 Saturday 15th June 2013 Brixham v Bank B.A. 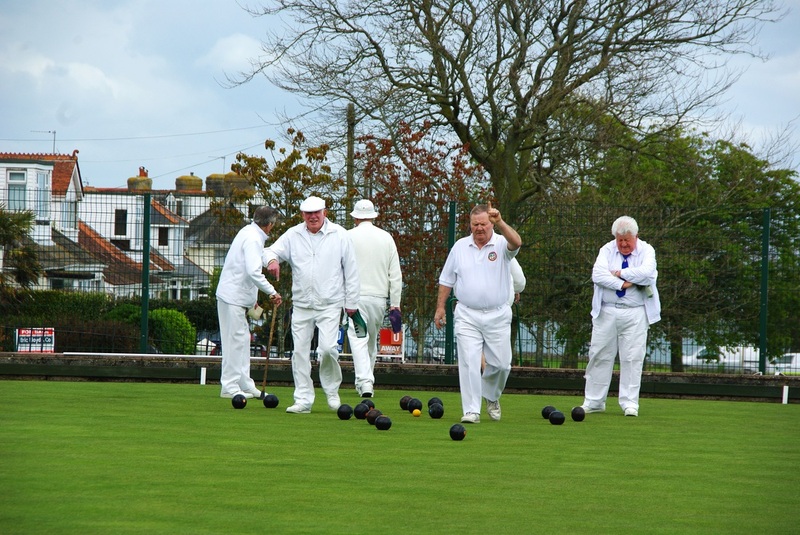 The game was played in good spirits and throughly enjoyed by all despite the testing conditions on a very windy afternoon. 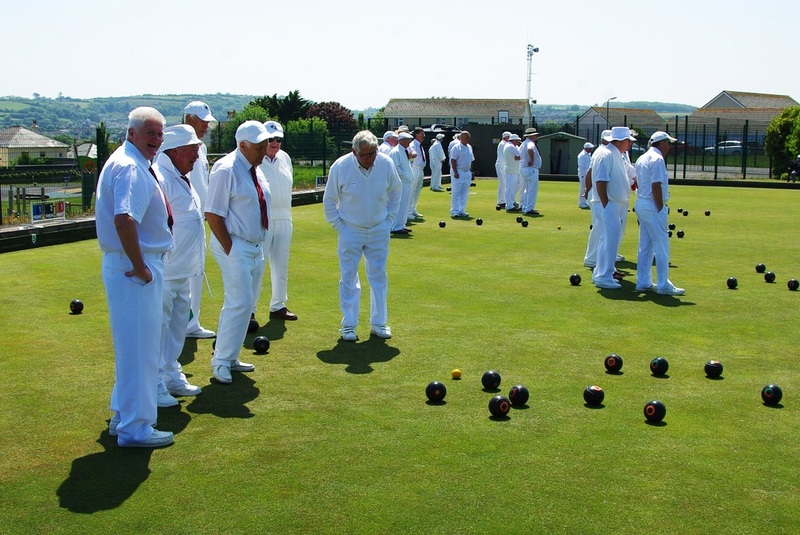 The final score reflected a well fought match with Brixham 111pts - Banks BA 111pts. A great day the weather conditions were fine with no wind. 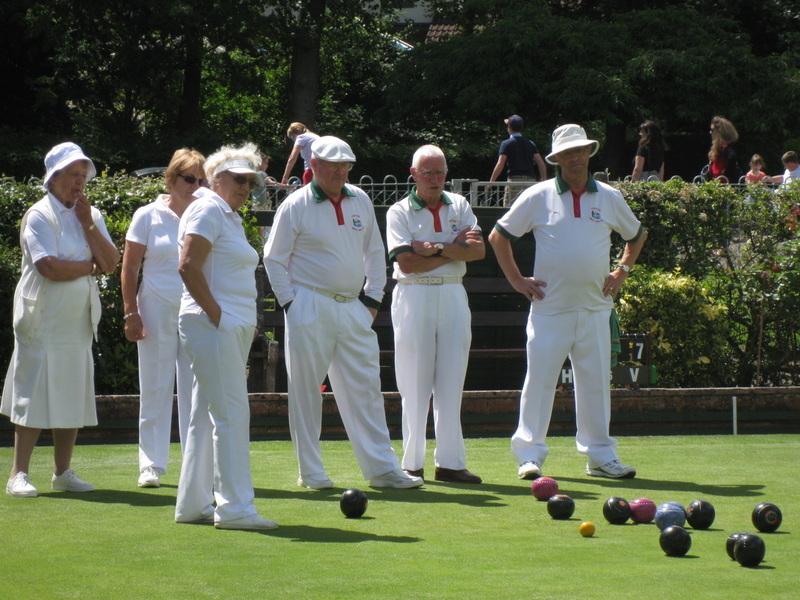 All enjoyed a good afternoons Bowling with the Presidents team winning by small margins on all rinks. 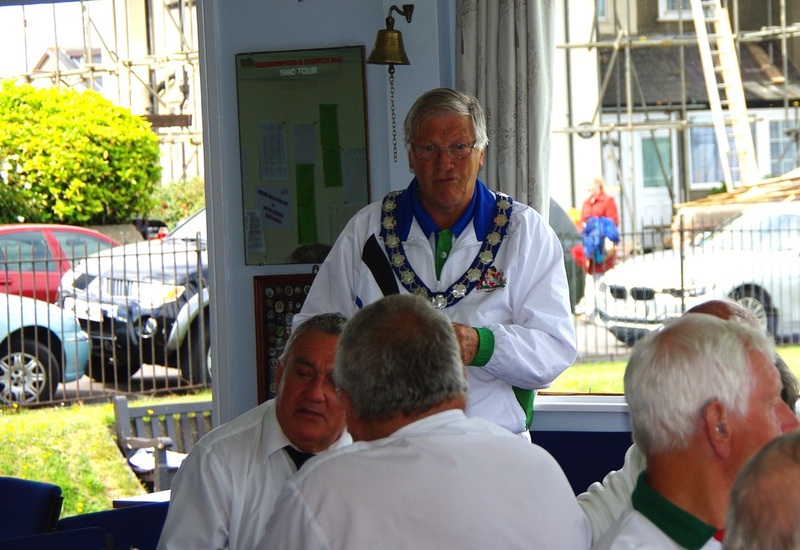 Devon President Edgar Melluish wished Brixham well in their Centenary year and thanked the ladies for the superb buffet at the interval break. 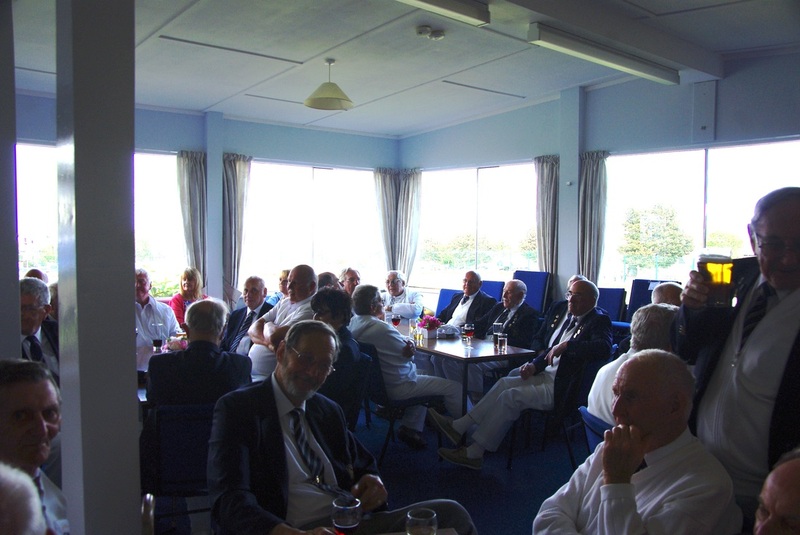 Both teams enjoyed a drink in the bar at the conclusion of the match. 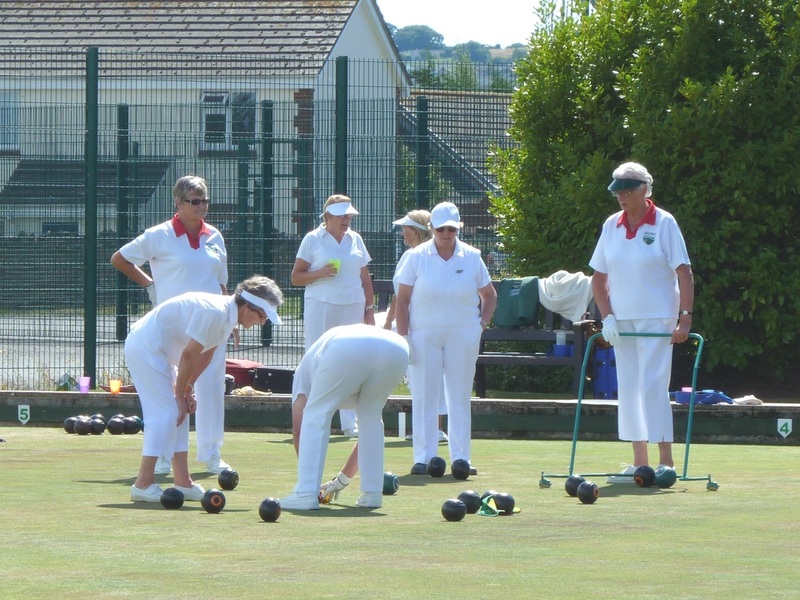 The player of the day was Mo Thomas a Brixham and Devon Ladies player who stepped into play for the Presidents X1 when they were a player short and helped her Presidents X1 side to victory over the opposing Brixham team (see below). Brixham travelled to Tiverton as part of the Centenary celebration by coach. Arriving in plenty of time before the start of the game most enjoyed a lunch in Tiverton by the river Exe. We played 7 rinks during the afternoon against Tiverton West End substituting 6 players at the midway break ,so that all 36 travelling players could enjoy the game. Tiverton were great hosts putting sandwiches and cakes at the half time interval. The weather also played its part with hot sunshine. Tiverton on the day were worthy winners but a great game and atmosphere was enjoyed by all. Mark below presents the trophy to winners Ann Gray and Alan Parker. 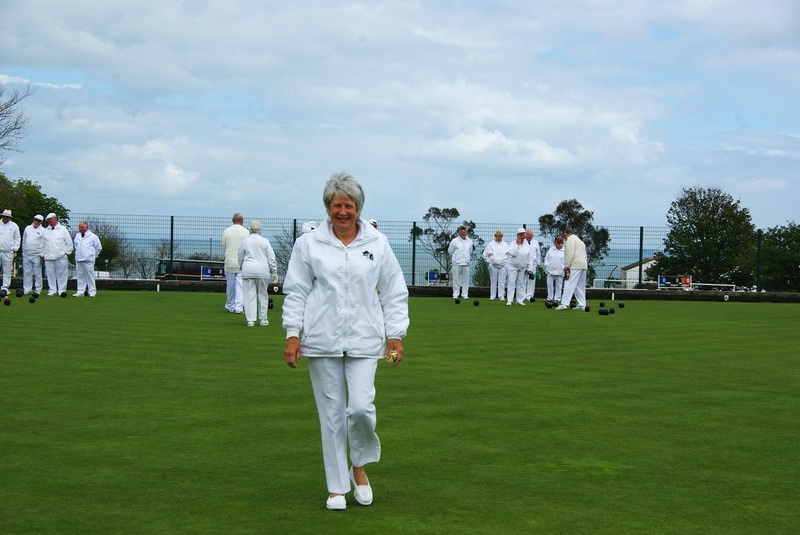 Brixham were given a warm welcome by Sidmouth in their Centenary match. The welcome speech was given by John Greenaway - Jnr. Vice Captain who did a good job congratulating us on our smart appearance and arrival on time! Agood enjoyable game finished with 3 winning and 3 losing rinks and honours shared. (left to right) Anne Stenning, Lyn Oakden and Margaret Jenkins.